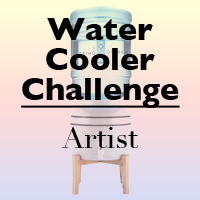 It’s Wednesday, and that means another Watercooler Challenge! This one is a color challenge from Marsha. Here’s her inspiration photo. Isn’t that gorgeous? I love the dew drops on the flower. Stampin’ Up! has so many shades of blue and gray, it was easy to complete this challenge, but at the same time, it was hard to decide which blues and grays to use. I have to admit, this challenge makes me think of the TV show Reba. Did you ever watch that? Reba’s son-in-law Van was a football player, and was away from home much of the time. He visited his daughter’s preschool, and she had drawn a picture of him leaving for practice. He asked if the assignment was to “rip Daddy’s heart out.” The teacher said, “No, I think the assignment was ‘use blue. '” Well – this challenge is definitely “Use Blue!” And hopefully it won’t rip anyone’s heart out! I didn’t try to choose between the grays. I used Smoky Slate and Basic Gray. For the blues, I used Night of Navy (is there another blue? If this one ever retires, I may cry. Honestly, I still miss Ballet Blue and Brocade Blue. *sigh*) and Marina Mist. I decided to break out my You’ve Got This stamp set for this card. I can’t believe I didn’t order this set as soon as it came out. What was I thinking? I stamped the background crosshatch pattern on the Smoky Slate in Basic Gray. I stamped the flower in Basic Gray Archival ink and watercolored it with Marina Mist, Night of Navy and…a green ink. I’m thinking it’s either Garden Green, Wild Wasabi, or Old Olive. After I made this card, I sent it to a very dear friend, so I’m trying to rely on memory and digital colors for this one. I used stamp pads and aqua painters to color the flower. I love the new archival inks. They aren’t totally waterproof, so you need to be careful if you watercolor with them. But they give such a nice, clean image, and they work much better than StazOn with the photopolymer stamps. At least, that’s my opinion. As I’m looking at the card, weeks after I made it, I realize I forgot one of my favorite tricks. Usually after I “fussy cut” an image, I sponge the edges with the same color as the ink, just so no white edges show. Oops! I must have been in a hurry with this one. For a few final touches, I added some Silver Metallic Thread behind the flower and a Night of Navy Seam Binding Ribbon bow. The sentiment is stamped in Night of Navy on a punched oval. Why don’t you give this challenge a try? Simply create a project using Marsha’s photo for inspiration, then link it to the Watercooler Challenge site. 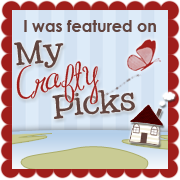 You could be chosen as the fave, and you’ll get to add our cool “I rocked the watercooler!” badge to your blog or web site. 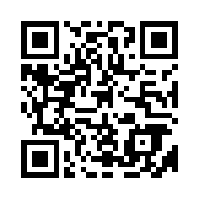 If you don’t have a blog, that’s ok. You can link from any public forum – like splitcoaststampers.com. 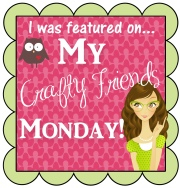 Check back later today for another Craft Project Central project. This one is a gorgeous project that features watercoloring for masculine cards. You don’t want to miss this fabulous project by Sara Hoogendoorn. 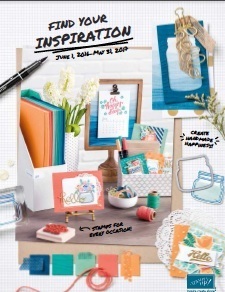 This entry was posted in You've Got This and tagged Blues, card making Winchester VA, paper crafts, Reba, Rubber Stamping, stampin' up, Stampin' Up! Demonstrator Winchester VA, WWC47, You've Got This. Bookmark the permalink.